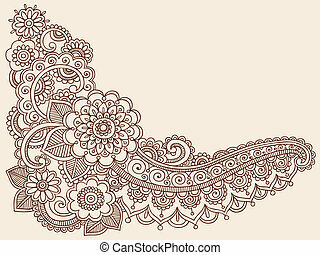 Henna mehndi tattoo doodles vector. 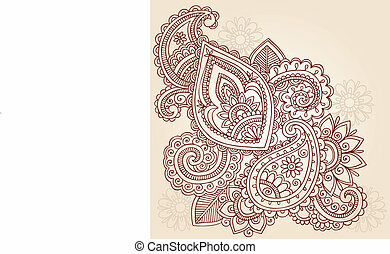 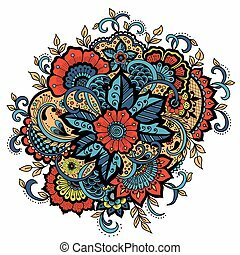 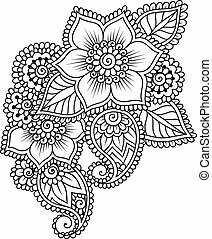 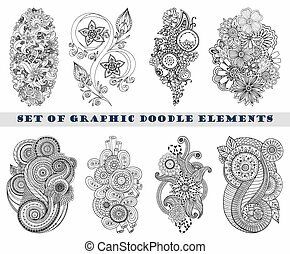 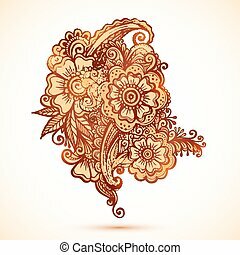 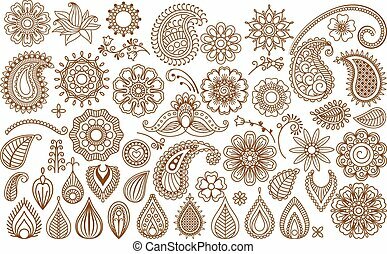 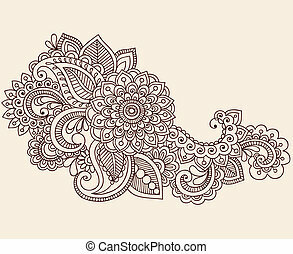 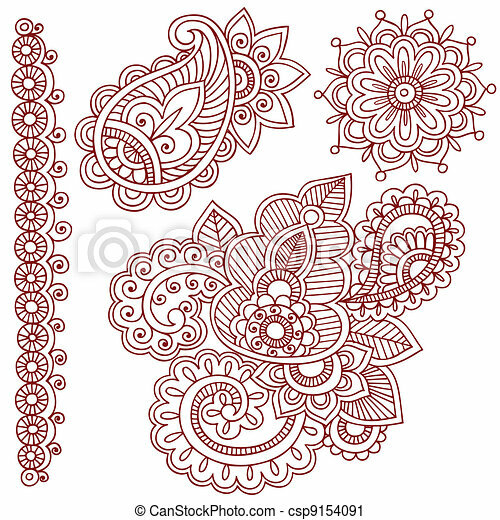 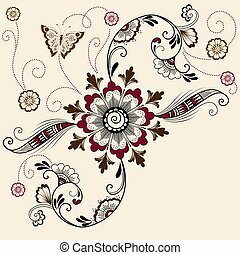 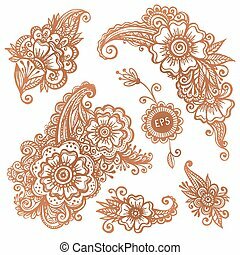 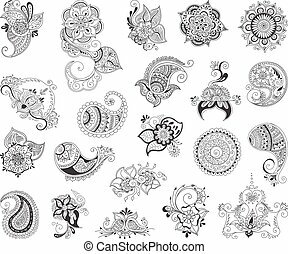 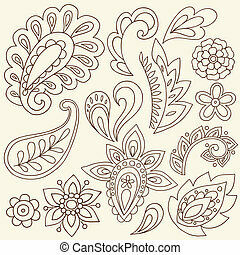 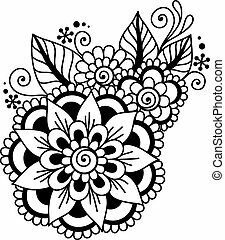 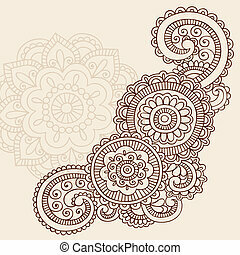 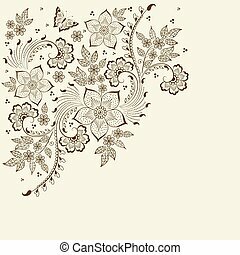 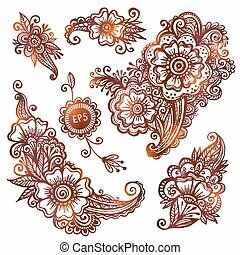 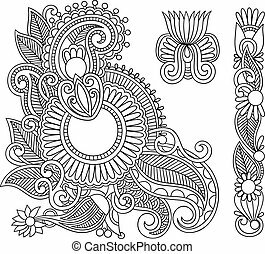 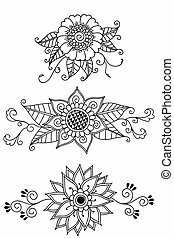 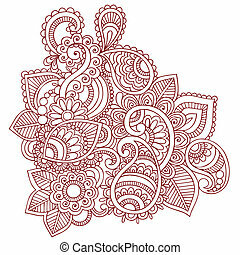 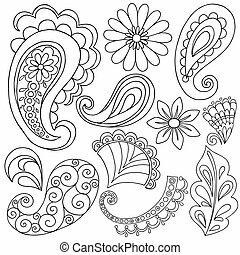 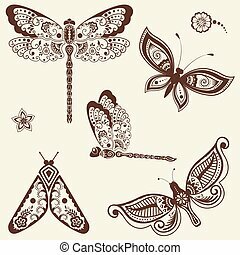 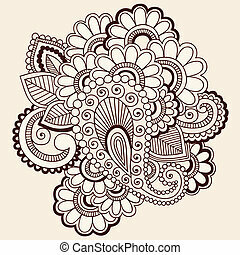 Hand-drawn henna paisley flowers mehndi doodles abstract floral vector illustration design elements. 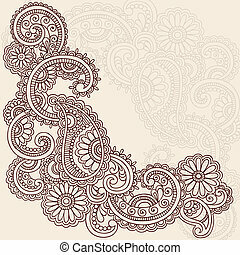 Vector abstract patterns of tattoo henna. 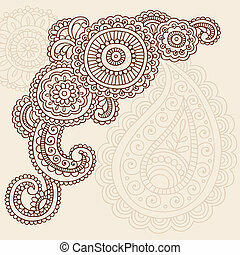 Zentangle, paisley and flower. 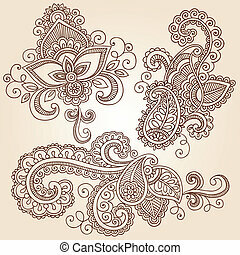 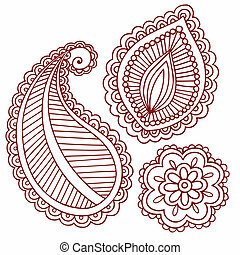 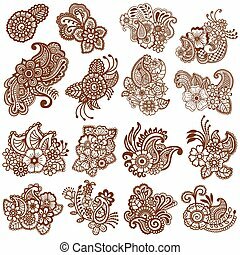 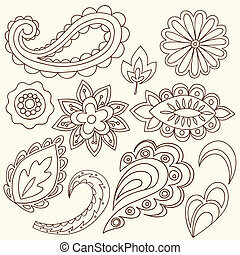 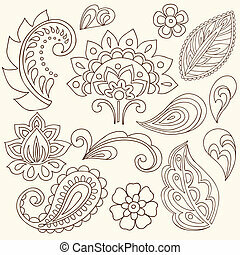 Stock mehndi set for design on white background.